As the weather cools down, our natural response is to crank up the thermostat to keep our homes nice and warm. Unfortunately, turning on the heat is also a surefire way to completely dry out the air in your home. While most of us have simply learned to live with the uncomfortable side effects of this arid wintertime environment; static electricity, dry skin and frizzy hair are annoyances which most of us would rather live without. 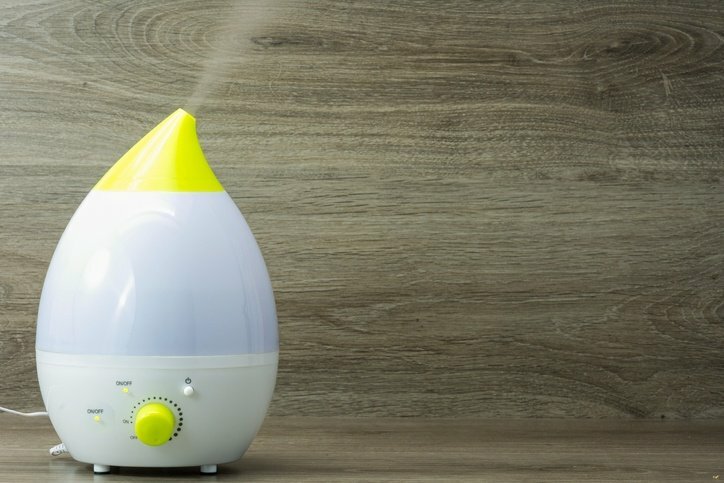 Be prepared this winter with these ten clever ways to naturally humidify the air in your home so you and your family can enjoy the warmth without all of that annoying, unpleasant dryness. Your home’s central heating system is one of the biggest causes of all that dry air. If you can, turn the thermostat down (or off) and put on an extra layer (or two) of clothing. 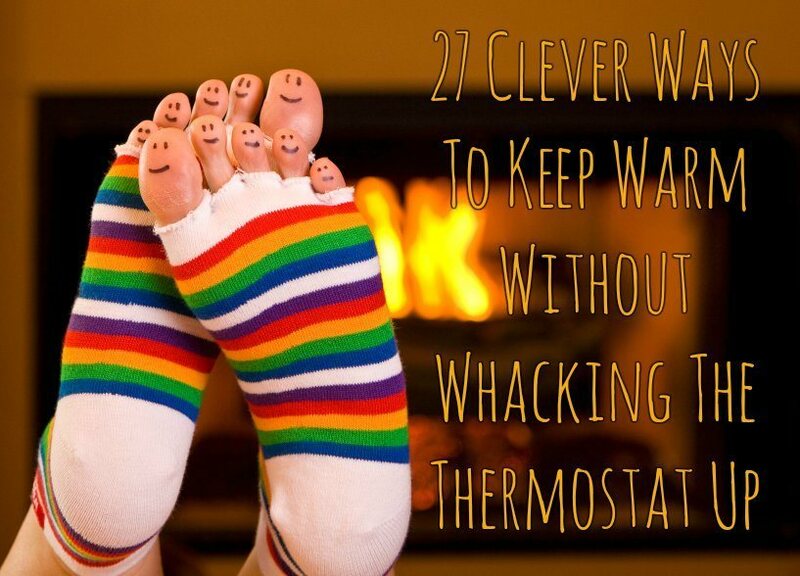 Then pick up some more great ideas on how to stay warm without whacking the thermostat up with these 27 clever tips. 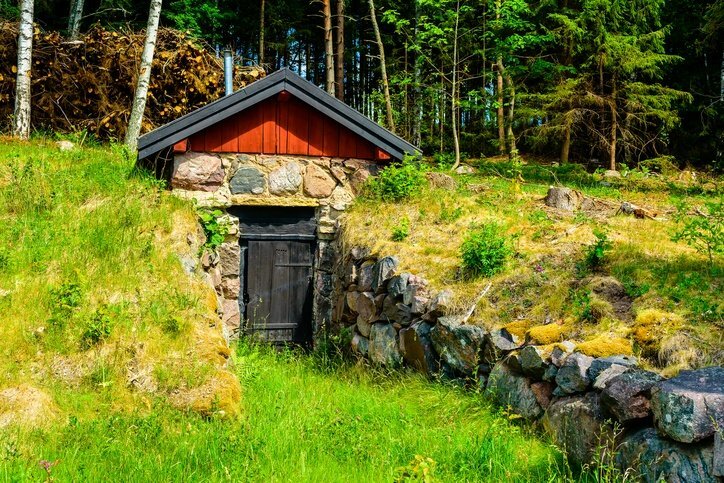 Whether you choose to run the heat pump or not, air leaks around doors and windows, as well as some other less-obvious locations can rob your home of both warmth and humidity. Once you’ve found the leaks, use these techniques to seal them up and create a more comfortable atmosphere for yourself and your family. Just like a central heating system, your clothes dryer robs the surrounding air of moisture. If you want to increase the humidity in your home, give your dryer an holiday. Instead, put up a few clothes lines around the house and hang wet garments where they can air dry. Your clothes will add humidity to the air as they dry and also save energy in the process. Just make sure to run your clothes lines in locations with enough air flow to dry damp garments in a timely fashion and prevent the growth of mold or other microbes on wet fabric. Just like your clothes dryer but on a smaller scale, small appliances like hair dryers which use heated air to perform a task will dehydrate their surroundings while they’re running. Unplug the hair dryer and set it aside for the winter. As the humidity returns inside your home, your hair will retain moisture better and (hopefully) become more manageable as well. Furthermore, just like hanging up your damp laundry, allowing your hair to dry naturally will add a small amount of moisture back into the surrounding air as well. One of the best ways to increase humidity inside your home is to leave a large pot of water simmering on the stove top. You can also spice things up a bit (pun intended) by adding cloves, cinnamon and other herbs to the water. The resulting steam will fill the air not only with much-need moisture, but also with the scents of your chosen spices! Be sure that you always remember to turn off the stove before leaving the house or going to bed! If you aren’t comfortable leaving a pot of simmering water on the stove, you can create a similar effect by setting out containers of water near other heat sources around your home. Some good locations: near windows which get a lot of sunlight and in front of registers where the warm air from your heat pump will flow over the surface of the water and pick up moisture. Attractive to look at and pleasant on the ears, indoor fountains are for more than just decoration or background noise. As the water in a fountain moves, some of it is absorbed into the surrounding air. Over time this can have a significant impact on the humidity inside your home. Just remember that the size of a fountain – or more specifically the amount and strength of the fountain’s water flow – will determine just how much humidity it can provide. A small fountain might be great for your bedroom, but larger spaces like the den or living room will require something a bit larger to create a noticeable difference. If you don’t want to spend money on a new indoor fountain, you may have something even better already inside your home. Assuming that privacy won’t be compromised in doing so, consider showering with the bathroom door open. The steam created by this giant “fountain” will flow out into the surrounding rooms and boost humidity throughout the house. If you choose to take a bath instead of showering, don’t drain the tub after you step out. Instead, recycle your bath water by letting it evaporate. Due to its large surface area, the water in a full bathtub can provide a lot of precious moisture inside your home. Even after the water cools, any air which comes into contact with it will carry away a small amount of humidity. Group several plants together in any given location. 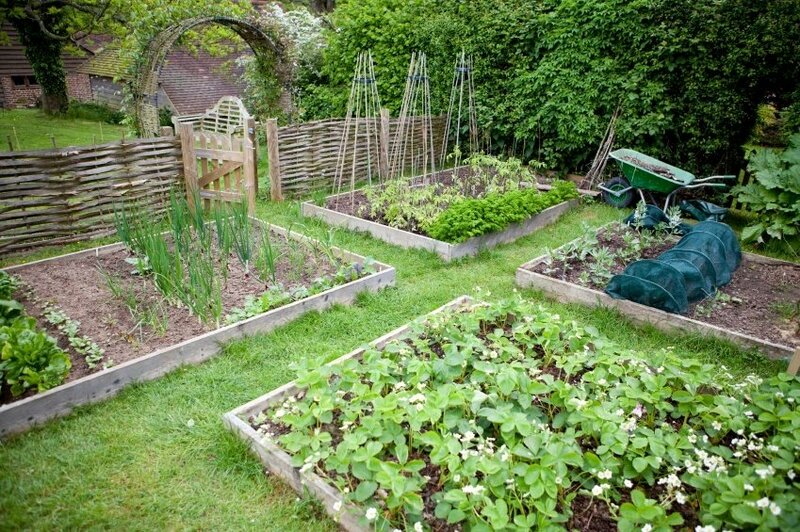 They will create their own humid micro-climate in the surrounding spaces and pots won’t dry out as quickly. Add small pebbles to your plants’ saucers then fill them with water up to about half the depth of the pebbles. Set pots on top of these doctored plant saucers to instantly improve the humidifying power of your plants. Just remember to empty and clean the saucers as needed so they don’t grow unwanted microbes or algae which will harm you or your houseplants. If you’ve tried a handful of the techniques on our list, but static electricity is still a daily annoyance in your home, you may also want to add a few Himalayan pink salt lamps to the rooms where you spend the most time. These nifty little gadgets will re-ionize the air around you to reduce static, purify the air through the power of hygroscopy, and provide pleasant eco-friendly lighting all at the same time! Get the full story on the Himalayan Pink Salt Lamp here. Interested to know more about the power of houseplants to improve your health? You’ll definitely want to read 12 Plants For Your Bedroom to Help You Sleep and 8 Ways To Purify Home Air Naturally (scroll down to #8) to learn more!